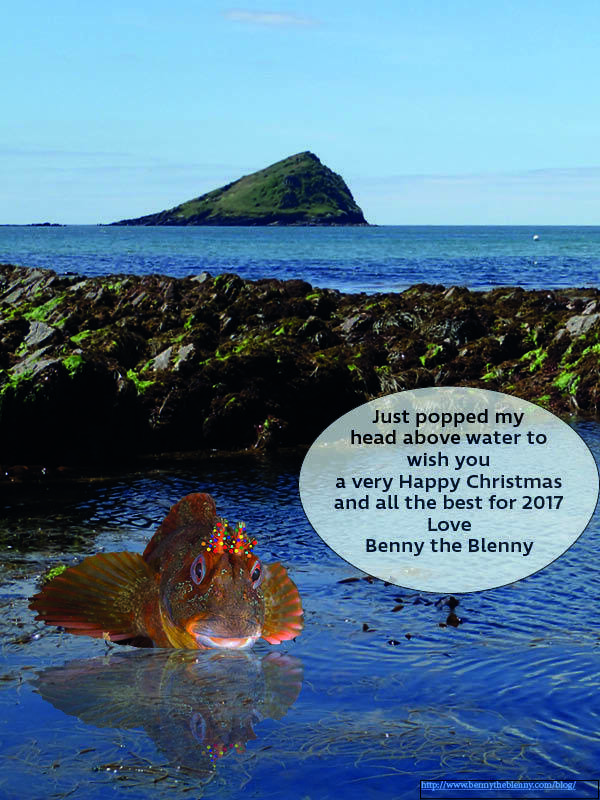 Benny the Blenny aka the 'fish with antlers'/The Christmas Tree Fish – Page 2 – The fish that blogs from under the sea! Is it a bird or a fish? 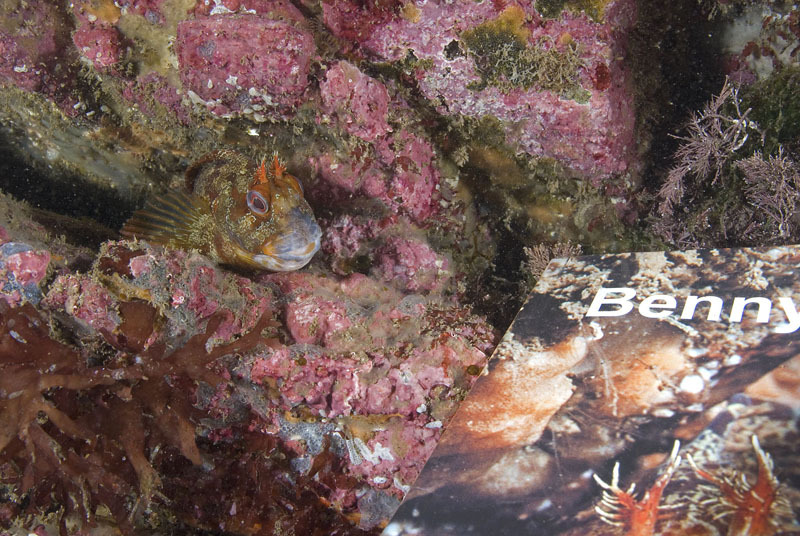 It’s a baby tompot blenny, just like Benny the Blenny’s babies, swimming in the plankton. This video shows tompot blenny larvae like my babies swimming around in the plankton. These ones are around 15mm long and Teresa thinks they look like baby birds because they are flapping their pectoral fins to keep themselves swimming up in the water. They power themselves forwards using their tails too. When my babies first hatched as larvae they had a yolk sac which helped them stay up but that has now all been used up so they flap instead. If you look closely at the video you will see, just under the babies’ bellies, that there are two blackish lines. These are their pelvic fins (equivalent to your legs) that have started to develop. 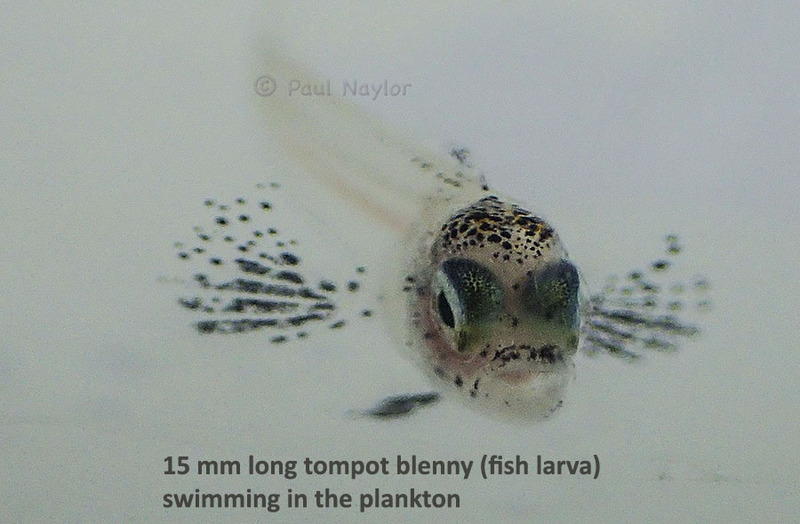 My youngsters at this stage are not showing any signs of growing head tentacles, but these will develop by the time they settle on the seabed as little tompot blennies around 20 mm long in a few weeks time. 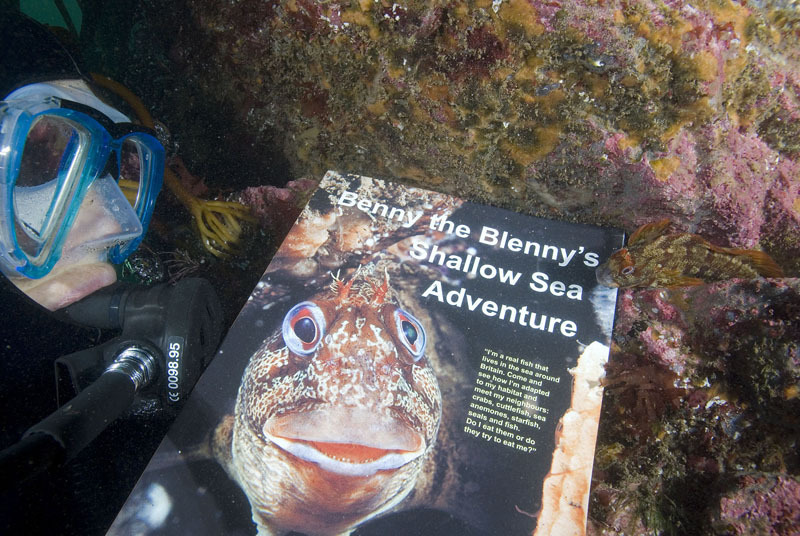 Thank you to the National Marine Aquarium Plymouth for their help in getting this video; it is an excellent place to see tompot blennies like Benny the Blenny and lots of other marine life in action. 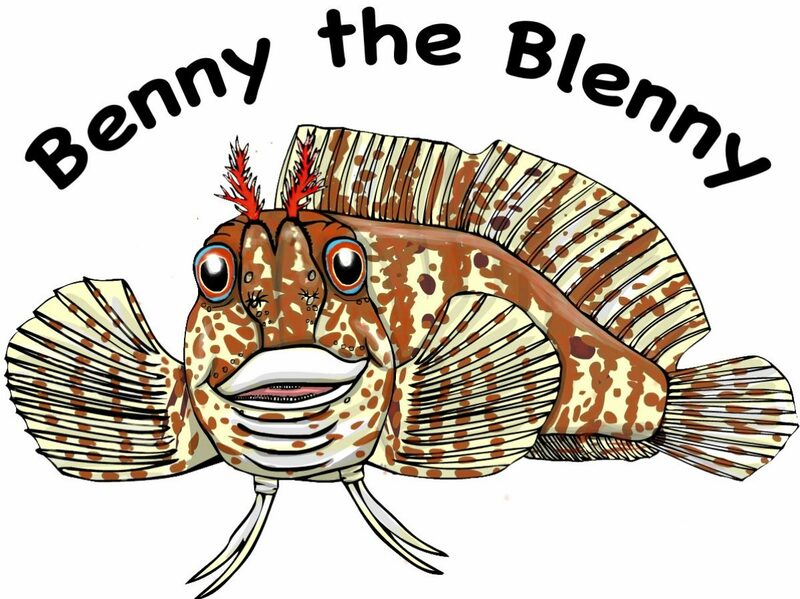 Author Benny the blennyPosted on 28th September 2016 Categories fishLeave a comment on Is it a bird or a fish? 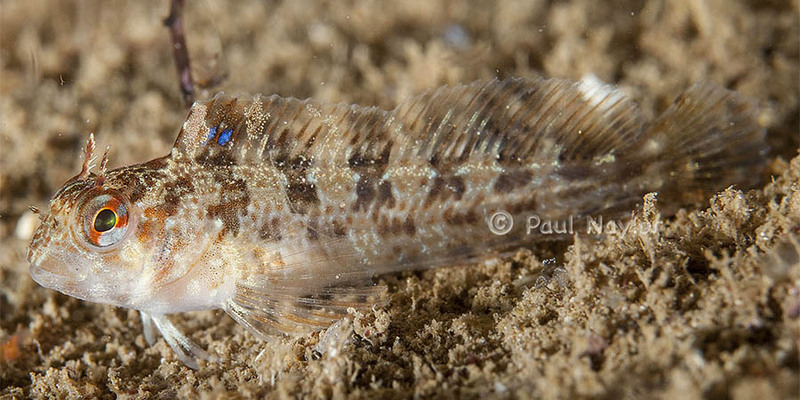 It’s a baby tompot blenny, just like Benny the Blenny’s babies, swimming in the plankton. All my babes have now left my crevice home or ‘flown the nest’ as you like to say! I’m very proud of all my work because I was guarding eggs non-stop for nearly 4 months, keeping away all the ‘egg thieves’ (animals that might want to eat them) and caring for the eggs by wiping them over with my bulbous glands. Each batch of eggs takes about 2 months from being laid to hatching but, as we saw in my last blog, I had several batches! I’m keen to show you how wonderful they are closer up. This photo by Paul at the end of May showed that Belinda had just been laying the dark purple ones to the right of the picture. They were then the last to hatch in mid-July. Now look at the eggs with obvious silver eyes at the front under Belinda’s eye, they were the most developed and were almost ready to hatch. In the middle, the gold coloured eggs were part way through their development and so had the different colouring. Can you see the amazing little cups they are laid in? 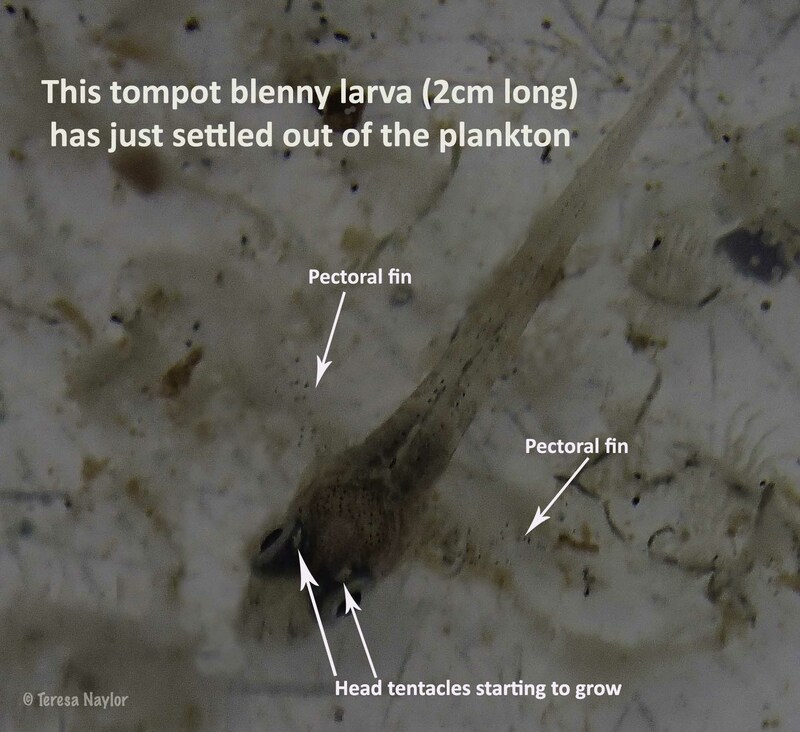 When the eggs hatch, the very small tompot blenny larvae swim up into the plankton and have to take their chances along with the young of many other sea creatures. 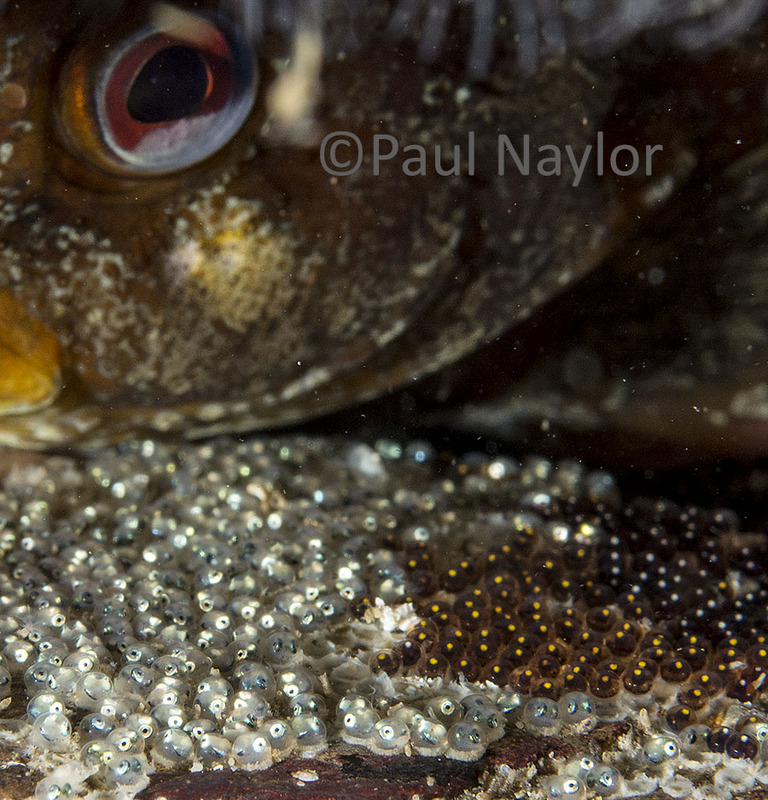 Having batches that hatch at different times is a very good survival strategy for us tompot blennies. If one batch of our larvae get hit by bad weather or run into particularly voracious predators eating lots of plankton, there’s a good chance that the other batches will have an easier time. I’m now looking forward to seeing as many as possible of my youngsters landing back on the reef after their tough time in the plankton! 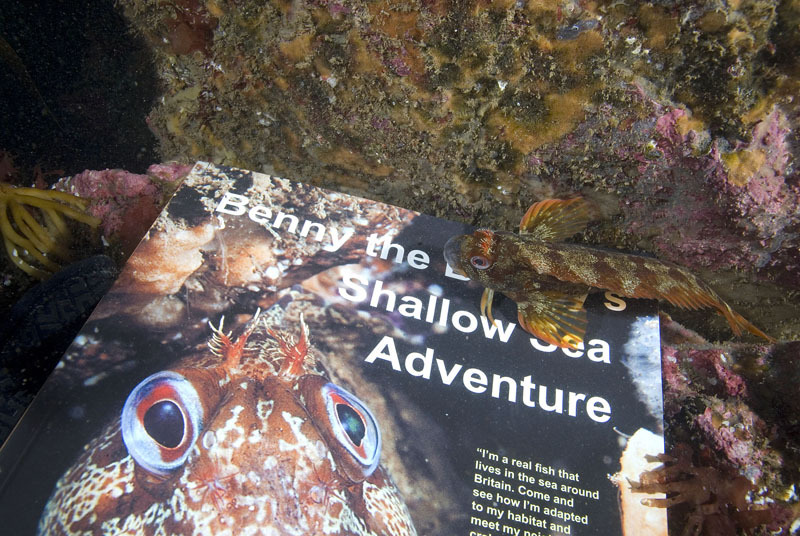 Author Benny the blennyPosted on 22nd August 2016 Categories fish1 Comment on Off to the plankton!